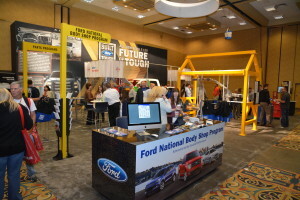 April 6 marks the deadline to be able to pick your exhibitor location at the 2015 SEMA Show, and while you can try and modify your booth size after calling dibs, it’s probably easier to get it right the first time. The Specialty Equipment Market Association offered tips Thursday to help what appears to be a growing total number of vendors decide what size space to rent out of a range as small as 10-by-10 feet and as large as 50-by-60. Booths scale by 10 square feet at a time. Find out more here. Figure out what you want to do there. Are you showing off a product? Hyping your brand? Networking? Courting leads? The answer to that question should drive what you’re trying to do. Draw the booth on paper. (Graph paper probably couldn’t hurt if you want to try to make sure you are to scale.) Block out everything — and everyone, from employees to customers — you want to stuff in there to accomplish that goal. If you’re showing off a vehicle, drive it in there and make sure it fits — though there’s also an option to display a vehicle outside the Las Vegas Convention Center if you don’t want to put it in the booth. Then adjust accordingly. You don’t want to buy too much space either. If you register by April 6, you will get your booth size. You can change it once everyone else finishes the advance site selection process. Details: 909-396-0289, sales@sema.org or visit this online signup. The show can provide an excellent opportunity for a business. About 130,000 people visit every year, SEMA estimated, including 60,000 buyers — nearly 25 percent of which are from abroad. 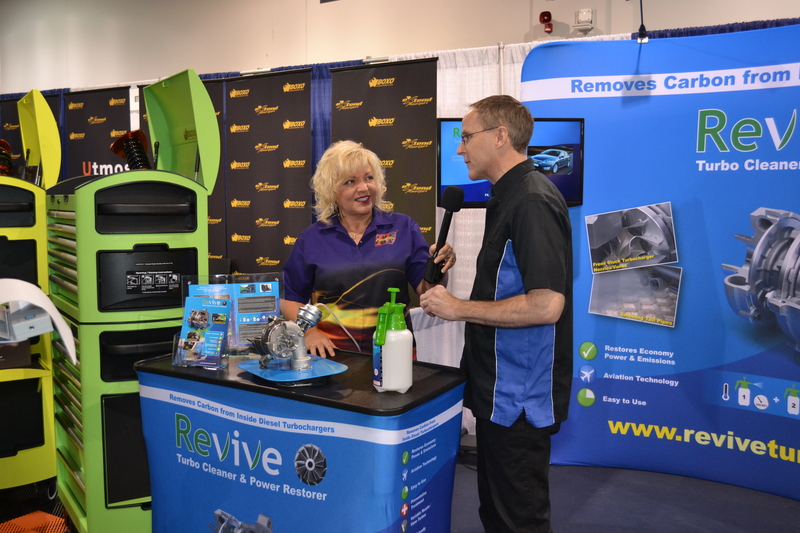 Besides the ability to network and make sales, there’s also a PR opportunity: About 3,000 members of the media come to the show, SEMA said. Gattuso said Friday that the space selection draft works by seniority once SEMA has blocked out how all the different sizes will fit in the convention center. About 85 percent of SEMA Show exhibitors register by the early deadline, Gattuso estimated. The “icing on the cake” comes with the other 15, according to Gattuso. He described some of those companies as registering late because of their startup status — calling them “some of the newest, innovative” businesses that bring a “final punch” to the event. “For me, that’s the exciting part,” he said. With the rapid change going on in the auto and collision repair industries, 2015 could certainly see some interesting rookies providing solutions to some challenges facing engineers and repairers. Though latecomers might be in some annex areas of the convention center and nearby hotel, Gattuso said SEMA’s marketing and operations staff attempts to stick in a feature or presentation that makes buyers and attendees leave the main drag and visit that part of the show. Plus, once people know exhibitors are in a particular new area, they’ll know to return to that spot for future shows — priming that location for an expansion. “It feeds on itself,” he said.